Well it's that time of the year again. It's more freezing inside the house in Sydney, than the Mid West of America in a snow storm in February. Why?? Because our homes here is Australia are built for Summer. They are all glass, floor boards and open plan. The heating and insulation are completely inadequate for even the mildest of Winter conditions. Suffice to say I am shivering as I write this. But the great thing is, it's also the time we have our Christmas in July parties here in Australia. That's right, although my family has been known to drink egg nog and tuck into a pork roast with all the trimmings on a 40 degree day (102 F) as Sydney swelters at Christmas time. We like to do it all again when the temperature really is like a Northern Christmas. 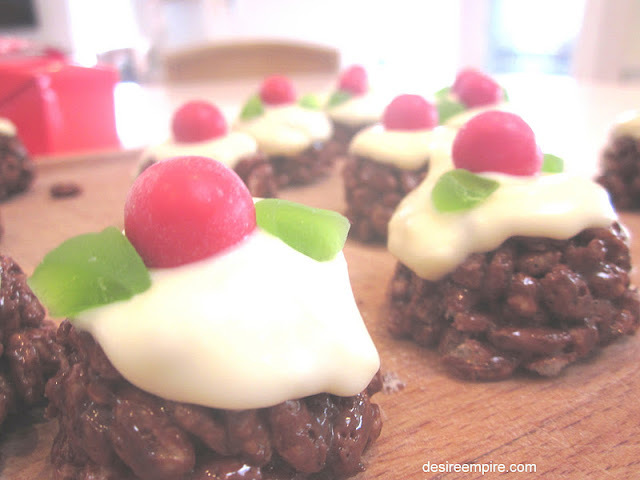 So for my fellow Aussies who are thinking about having a Christmas in July party, here are some easy bake, craft and styling ideas to add some zing to your Christmas shin dig. And for anyone else, it's only 6 months to go 'til the real thing and it's never too early to get into the Christmas spirit. To find the 'how to' on all these projects, just click on the shot you like. 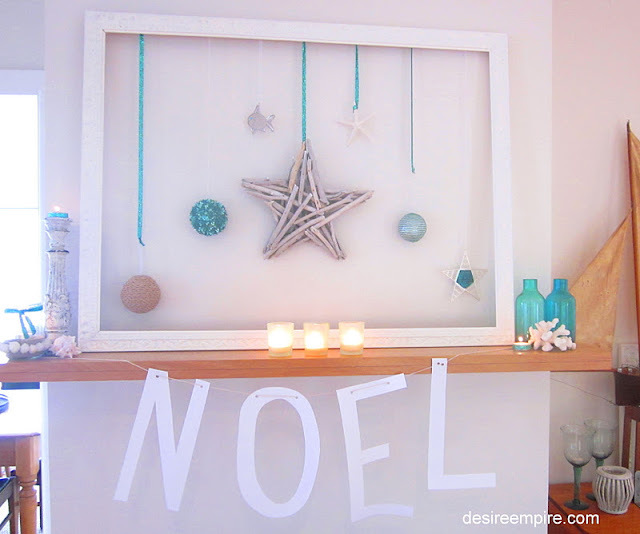 I showed you how to decorate your mantel with a beachy Christmas theme. 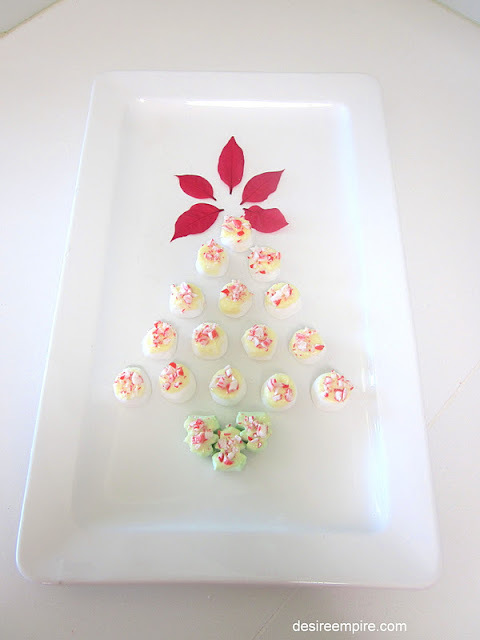 There was a tutorial on how to make this Christmas tree on a platter, using marshmallows dipped in white chocolate and topped with crushed candy. 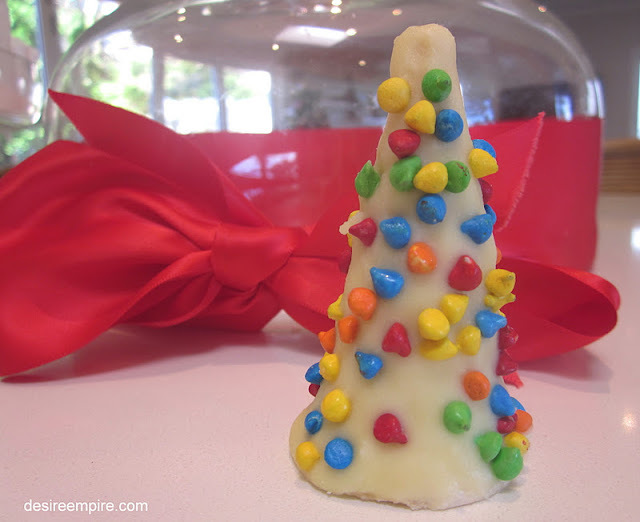 So there you go just a few simple ideas for a great Christmas in July Festival. 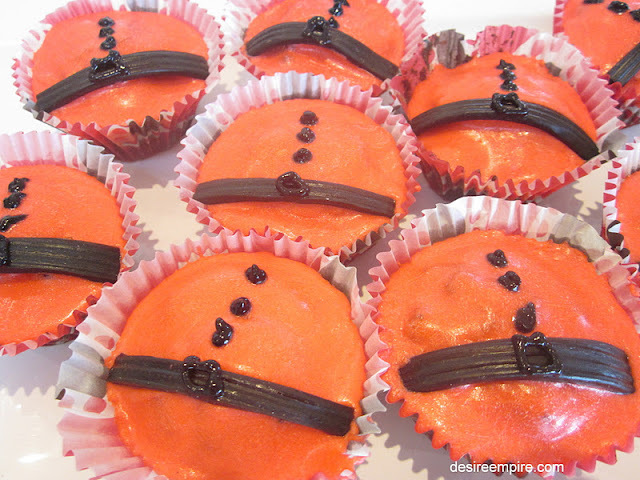 For more Christmas craft and baking ideas go here. I love this post! 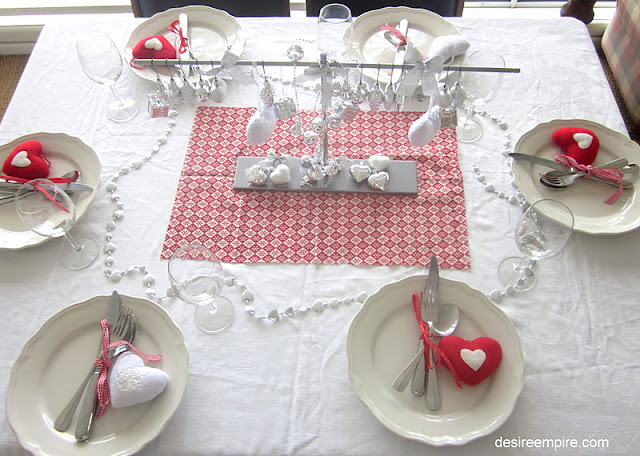 I am starting to think about my annual Christmas in July party so thanks for the wonderful ideas! Stay warm and best wishes for a happy Wednesday! So true its our chance to experience a cold xmas like the rest of the globe. Your food and decorations look fantastic and has shown me I really need to get my cake stand out more .. the possibilities! I remember some of these posts, all great. In July we sometimes find Christmas movies on TV. Fun to watch when it is 80 degrees outside! I love the Christmas tree on a platter. Great ideas. Comes around quickly doesn't it Carolyn. I'm not getting caught out this year. Enjoy your Christmas in July, Carolyn! It's 108 degrees here today - I can't bear to think of Christmas! Came over from DIY. Love the idea of Christmas in July. One year my friends all got together and traded ornaments and decorations they no longer wanted. I was so happy last week when Hobby Lobby started putting out the Christmas stuff. 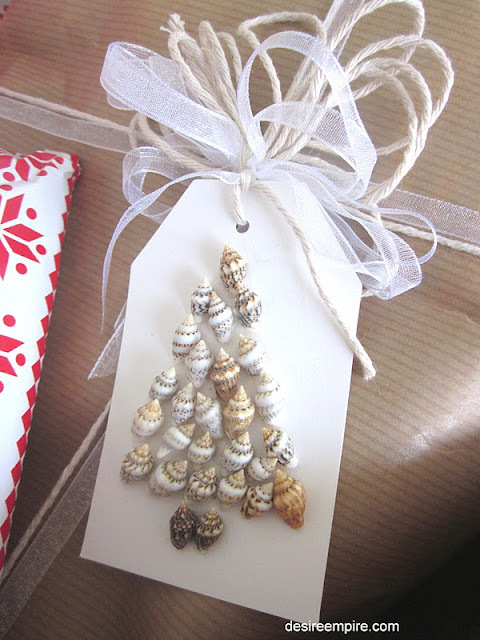 My favorite of this post - the shell tree tags! 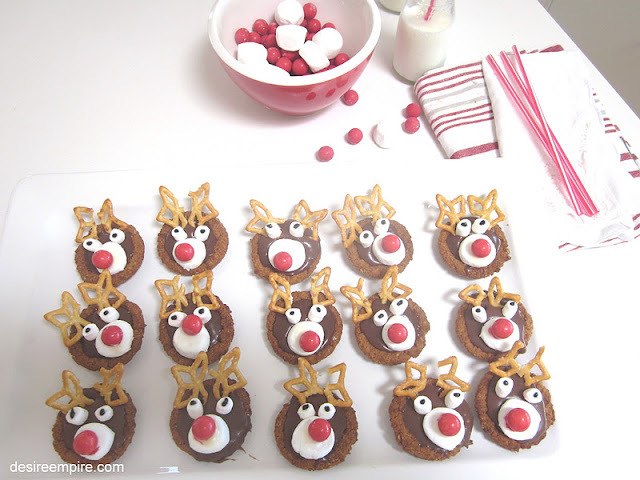 Those reindeer cookies are whimsical! I'm enjoying thinking about Christmas, because on Thursday we are expected to get to 101F! 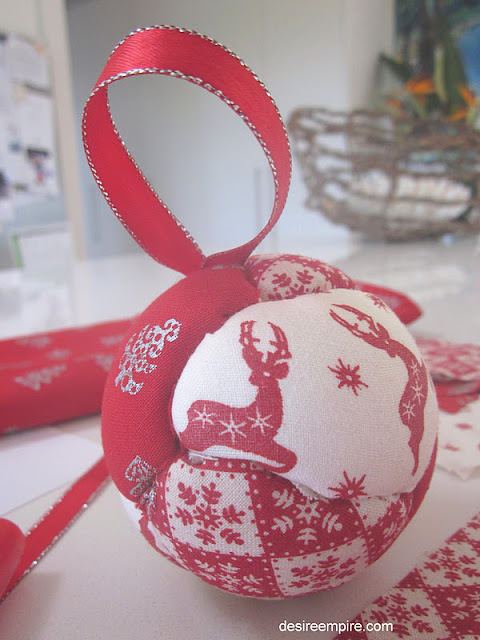 I think it's the perfect opportunity to stay in the A/C and do some Christmas crafts like these! I remember some of these posts too. Nice to see them again and find out about your Christmas in July parties. What a fabulous idea! Oh, my gosh! It is SO funny that you mention your current weather conditions in Australia because I just mentioned YOU in a post I just did for our 4th of July celebration!!! You're in the 1st or 2nd paragraph...I can't remember. TOO funny!!! I really wish there was a way we could even things out by swapping a bit of our excruciatingly hot weather for your teeth-chattering chilly temps! 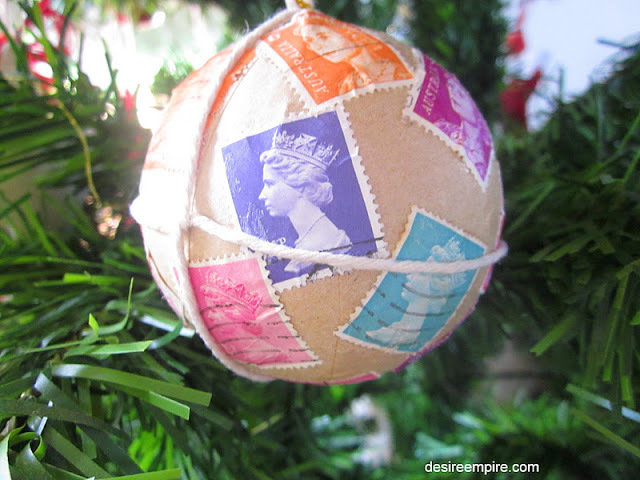 :-) Looking at all these fun ideas for celebrating Christmas is a good start! 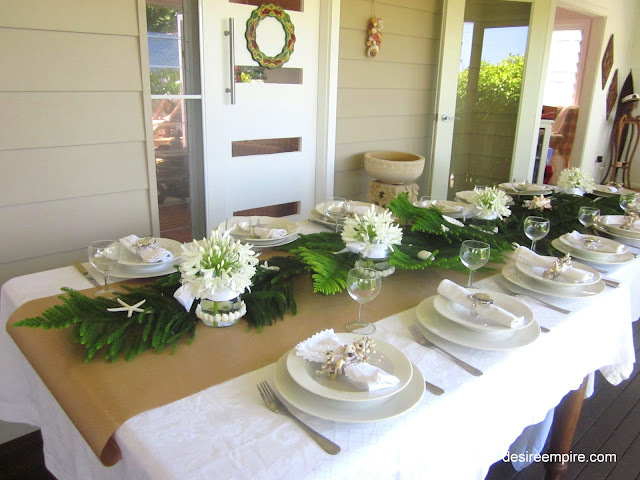 I remember that great table from last year with the pine boughs and agapanthus blooms!!! I don't remember seeing the fat Santa tummies, though. VERY cute! VERY creative! You always have such good ideas! I hope it warms up a bit for you soon. Meanwhile, I will try to wish some of this 103 degree heat your way! Have a wonderful week!!! I laugh out loud.Christmas in Jun....what a funny Idea....thank so mutch!!!! What a fun post! It "cools" me off as it was l06 here yesterday! Cute post! You have posted so many great ideas. Wonderful post! I'm getting so many ideas from the July C'mas it's great, so fun! 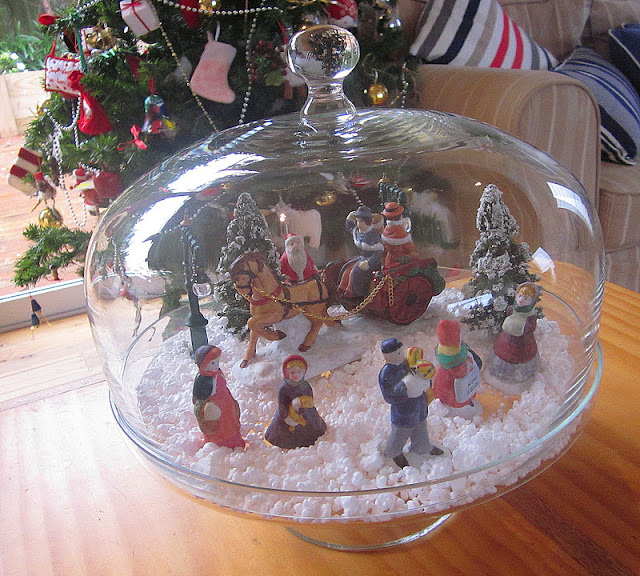 Thanks for sharing...loving the cloche! You seriously have Christmas in July. We used to do that at camp, but I've never heard of anyone else doing it. I can see it would make it easier to enjoy the heavy food associated with a traditional Christmas. Well have fun. It is hard to think of Christmas in July when it's so hot here. Love your ideas. Wow, so many wonderful ideas and I love your pretty table settings. It has been up to 105 here lately so it is nice to think about snow and Christmas. Thanks for sharing and have a great day! I still don't understand why it isn't Christmas in June?? But I love the Noel bunting!! These ideas always work. Even I celebrated Christmas in July last year. It was also my sister's wedding back then. I personally prepared some yummy cakes, plum pudding and as a surprise I ordered the famous Christmas in July gift baskets from Gourmet Basket to celebrate, both, the wedding and Christmas together. All were happy with the yummy food surprises and I am happy that my sister got awesome wedding memories.